Bookbub & The Diana Rivers Mysteries Vol 1 @ 99c/77p! 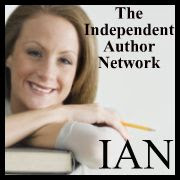 Today I'm very excited as Bookbub has chosen, The Diana Rivers Trilogy, Volume 1 as their featured Mystery Suspense book. And most important to you as readers is that instead of being on sale for $6.99 or £3.74 it is down to just 99c or 77p! Saving a whopping 85%! Wahoo! So, if you love a super-duper bargain read of three top selling books, then this is a fantastic deal.